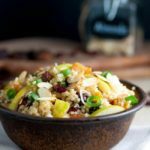 Make this gluten-free, nourishing quinoa salad with cranberries and pears for a healthy lunch or a side dish. 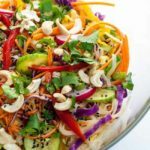 Perfect for a potluck! 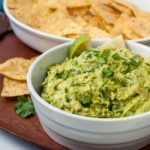 Vegan, Paleo and Whole30 compliant. 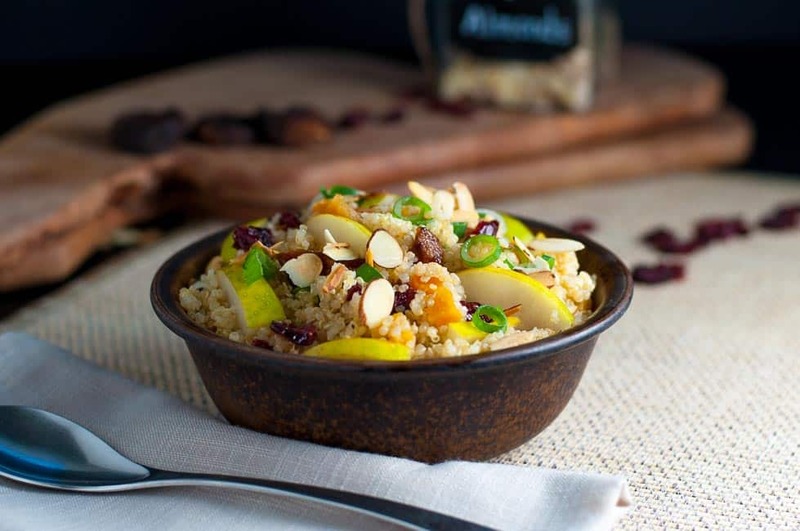 This healthy quinoa salad is studded with fresh pears, dried cranberries and apricots, sprinkled with toasted almonds and tossed with a zippy smoky lemon vinaigrette. 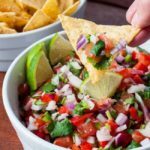 While it will definitely be on the menu as a side dish at our upcoming holiday dinners, this one will be making regular appearances for weekday lunches and dinners, too. The lazy part of me (no, let’s change that to “efficient”) loves making a dish and having leftovers for lunch or dinner the following day. This quinoa salad keeps well in the fridge, soaking up all that lemony dressing and even improving with age. When I was a little girl, a trip to the Okanagan Valley in central British Columbia meant one thing to me: swimming in warm lakes from dawn until dusk. To my mother, however, it meant stocking up on fresh fruit to bring home and can for the winter. Dad would load what little room there was left in the trunk of the car, squeezing in boxes of fruit among the sleeping bags, cooler and camp stove, and Mom would spend the next few days at home surrounded by Mason jars and boiling water. We left the Okanagan Valley recently with some beautiful Bosc pears and Italian prune plums and the realization that Okanagan fruit is just as fresh and readily available (and often cheaper) here at home in the Cowichan Valley. Once again, we discovered that while holidaying in other locations is fun, we truly live in the best place on earth. It’s very easy to follow a clean-eating diet and take advantage of all our fertile valley has to offer: fresh produce and just-caught seafood, free-range eggs and chickens, artisan breads and cheese and award-winning wines. I made this protein-rich, gluten-free quinoa salad with Asian Pears (also known as Apple Pears) but any firm pear, like Bosc, Anjou, Seckel, or even the tiny Forelle pears will be delicious. 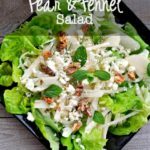 Dried cranberries and apricots gave this salad a natural sweetness, (and extra iron) and flaked almonds added some crunch. Whisking a little smoked paprika and ground coriander into my usual lemon vinaigrette added a fabulous punch to the dressing. I chose harvest fruit, like pears and cranberries, but you can easily substitute other seasonal fruit. 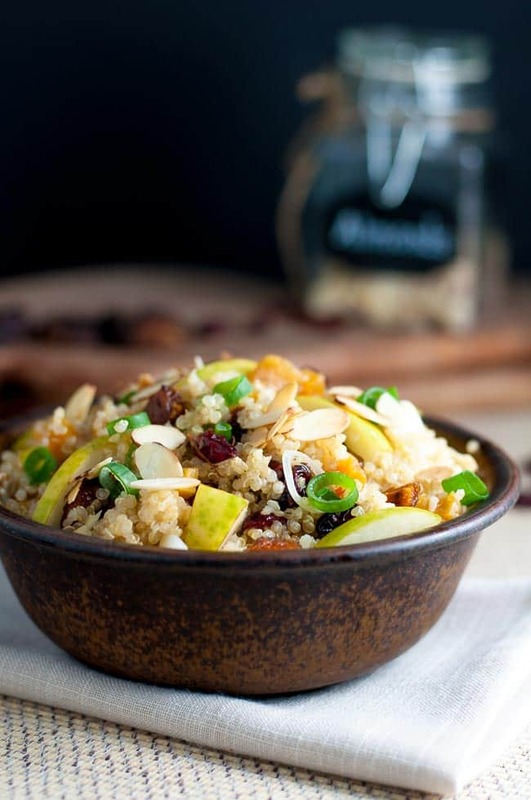 Use this quinoa salad with cranberries and pears recipe as a guide. Make this gluten-free quinoa salad with cranberries and pears for a healthy lunch or a side dish. Perfect for a potluck! Cook quinoa in water and salt. Spread out on a sheet and cool completely. 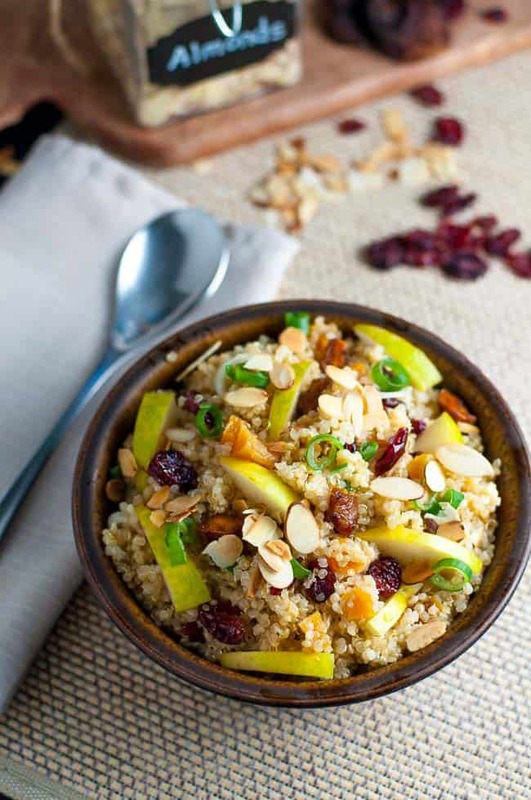 In a medium bowl, combine quinoa, dried apricots, dried cranberries, sliced pears, and green onions with the Lemon Vinaigrette, adding a little of the vinaigrette at a time, just until moistened. You may not need all the vinaigrette. Sprinkle with toasted flaked almonds just before serving. * to toast almonds, heat oven to 400°F, spread almonds on a baking sheet and toast for 5 to 10 minutes, watching very carefully. Remove from oven when they just start to brown, as they will continue to brown on the sheet. Alternatively, heat a small skillet on the stove top, and heat almonds until they begin to brown. Remove promptly and cool before adding to the salad. 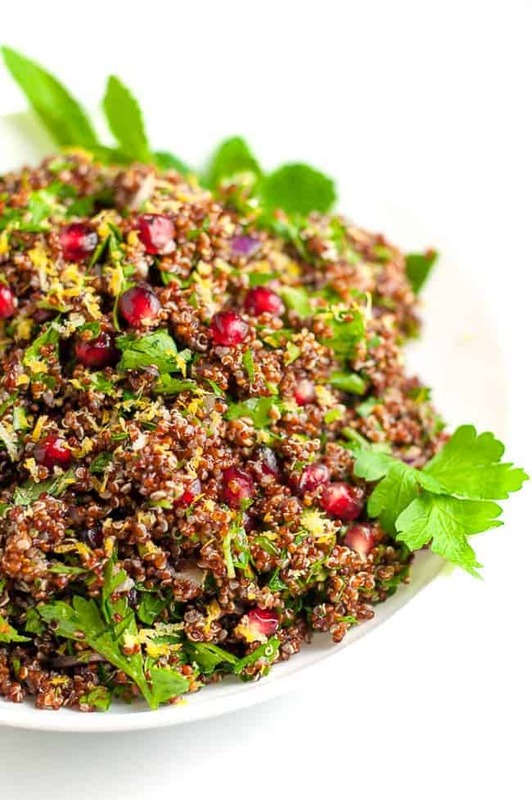 Try this quinoa salad, too!